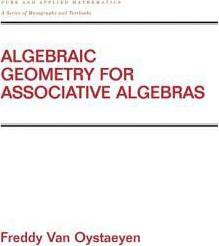 This work focuses on the association of methods from topology, category and sheaf theory, algebraic geometry, noncommutative and homological algebras, quantum groups and spaces, rings of differential operation, Cech and sheaf cohomology theories, and dimension theories to create a blend of noncommutative algebraic geometry. It offers a scheme theory that sustains the duality between algebraic geometry and commutative algebra to the noncommutative level. The noncommutative site; structure sheaves and their sections; regular algebras; valuations and divisors; cohomology theories; a functorial approach; formalizing the topology.